Folktopia: American Self-Taught Art explores the personal expressions of twenty self-taught artists. They have in common no formal training in art. Most of the artists have connections to Alabama and are included in important collections worldwide. This exhibition offers an opportunity to peer into the fascinating worlds of these unique artists–their memories, dreams and visions–rarely recorded in visual art. Included in the show are works by Mose Tolliver, Howard Finster, Woodie Long , Jimmie Lee Sudduth, B.F. Perkins among many others. 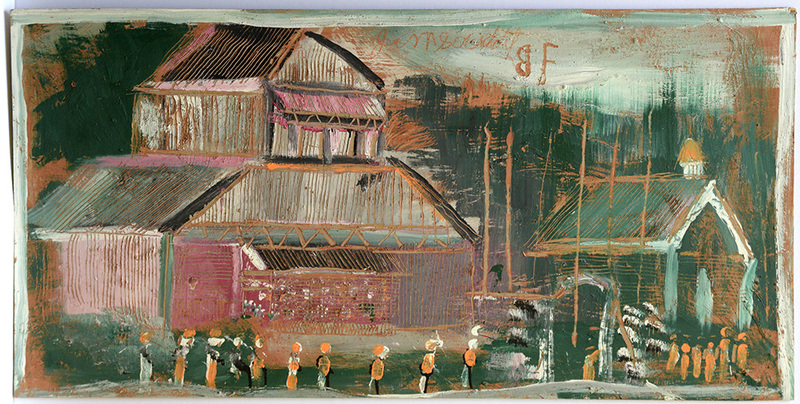 Folktopia is guest curated by Marcia Weber, owner of Marcia Weber Art Objects, a gallery in Montgomery, Alabama, dedicated to self-taught art including contemporary folk art and outsider art.